FMD , the world’s largest database of professional fashion models featuring an extensive collection of biographical information on fashion designers and modeling agencies. Instagram models, from Vogue m.
A leading Australian luxury brand. The journeys of eight Australian fashion designers from inspiration to creation. Fashion Blog: Spotting the latest fashion trends in Barcelona. Free beauty tips, articles and advice in five categories: aromatherapy, hair care, makeup, skin care and weight loss. a ‘who’s who’ of fashion from Vogue.uk. Directory of London fashion shops and designers. Resources for London fashion designers. Fashion jobs, fashion news in the U.K.
French Connection UK. The best of UK fashion from the street to the catwalk featuring daily fashion news, designer interviews, message board, events. icGlamour is the UK’s first independent Pakistani luxury retail group, specializing in contemporary men and women designer clothing and accessories. It’s the ultimate fashion destination that gives you the chance to discover emerging and top Pakistani Fashion designers. continues to flourish. Evening wear from the V&A’s vast collection. Vogue U.K. fashion events and news. Fashion Career Center. An international directory. Couturiers and fashion designers. From mode a Paris. Information on major designers, fashion houses and couturiers. Costume websites, a comprehensive list. A collection of articles on fashion designers and fashion houses, listed alphabetically. Seamlessly integrating new technologies and special effects with innovative fashion design to create digital couture experiences. They develop technologies & products that capture intimate physiological data, revealing emotional interactions. The Fashion Digital Studio (FDS) is a pioneering centre for technology and innovation in fashion. A place to buy and sell all things handmade. Information on designer eco friendly ethical and sustainable manufacturing practices. Featuring original sample eco label. This video highlights the amount of waste retailers produce and ways they are changing practices. Our post with the video is located on OnlineMBA.com. ‘Fast Fashion’ refers to clothing and accessories that are designed to reflect current industry trends, yet produced using less expensive materials to ensure a low price tag. For the last two decades, clothing retailers like H&M, Zara, and Forever 21 have popularized Fast Fashion among everyday consumers. Fashion events, a list from Wikipedia. The fashion navigator. Design, film, culture, beauty. English and Spanish interviews, articles, editorials, photographs and news on designers, collections, models, shows, and beauty. News from New York, Milan, Paris, London, Tokyo. Searchable by city. A fashion style guide and portal from the Netherlands. Guide to fashion on the internet. Latest fashion shows, fashion video online, fashion news, fashion chat. An A-Z of fashion. du Prêt-à-Porter, des Couturiers et des Créateurs de Mode. Online collections. An independent fashion magazine showing fashion photos and videos from from around the world. French fashion designers, couturiers, fashion show schedules. Paris fashion websites, a guide. Vente-privee.com organizes exclusive designer online brand sales in fashion and fashion accessories. A deep and varied portal dedicated to the dark life of the gothic subculture, gothic fashion, gothic angel, music, dating, tourism, gothic poems and goths culture. 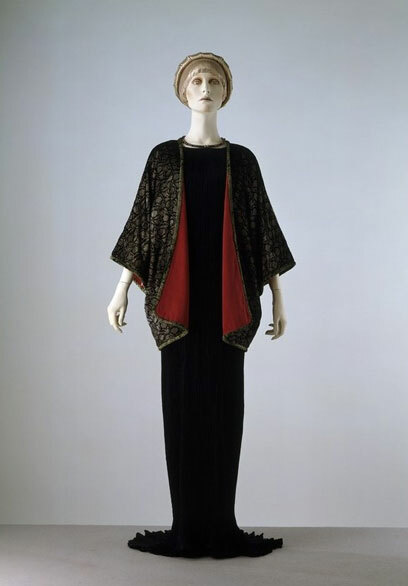 A comprehensive gallery of fashion from the 1800s to the 1900s. Victoria and Albert Museum fashion and costume collection. Wikipedia entries on the history of Western fashion. Charles Frederick Worth (early fashion designer). How to be a fashion designer.